Discover the City of the Locals. 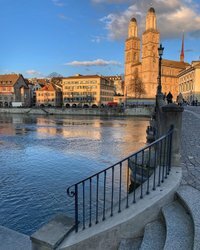 Visit Zürich. Discover the City. 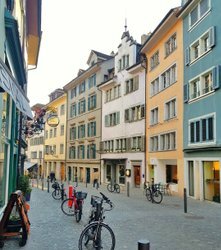 Historical, traditional Zurich, a city rooted deep in its past? Young, cool, alternative Zurich? The banking capital? Romantic Zurich with thousands of quiet benches in picturesque parks? Cultural Zurich? Sporting Zurich? Culinary Zurich? Whatever your choice may be: let the people of Zurich guide and advise you – their Zurich could be your Zurich. The “Märlitram” Santa and driver is familiar with the enchanting side of Zurich. The burlesque artiste and theater costume designer knows where Zurich exudes historical charm. The Instagrammer reveals his favorite spots for architectural photography. Marco knows the best places to relax after a night of partying in Zurich. Rock, a bike courier, loves rediscovering Zürich every day. At his various restaurants and cafes, Michel caters for half of Zürich. The young designer Anna has so many Zurich highlights to share. 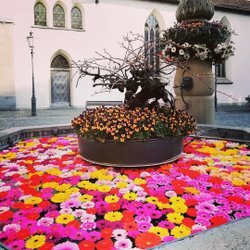 For the last 30 years, Maurice has been secretly beautifying Zürich by planting flowers on unused land. You can book approximately 200 hotels free of charge through Zürich Tourism – online or by telephone.